This music-loving city turns it up to 11, with everywhere from the zoo to Flemington Racecourse hosting outdoor events. At this time of year it’s all killer, no filler! 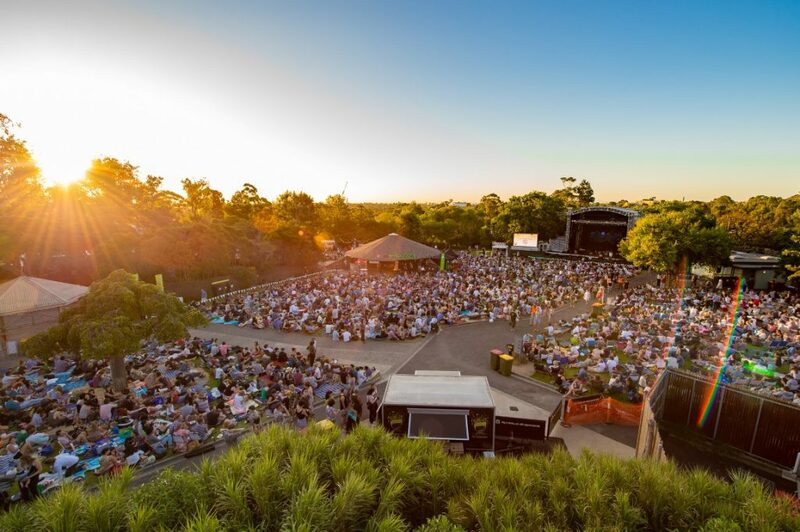 Enjoy Champagne entertainment at tap-water prices when the Melbourne Symphony Orchestra plays three free alfresco concerts. Tap your toes to vintage Gershwin tunes, then lap up two evenings of symphonic sounds by the likes of Berlioz and Debussy. 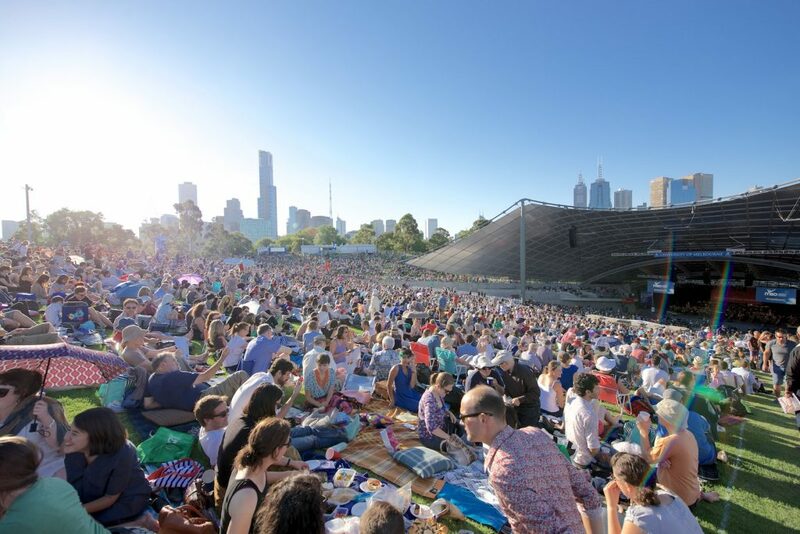 Pack a picnic and add some class to your summer soundtrack at the MSO Sidney Myer Free Concerts. Friday 8, Saturday 16 and Wednesday 20 February. Reborn annually with a stunning new design, this public space’s busy program includes lots of free music events. But not for much longer, because MPavilion packs up for another year on 3 February. So shimmy along to the final Friday Night Fiesta on Friday 18 January, curated by Tenth Court Records. Enjoy a live sneak peek of Jessica Hitchcock’s debut EP on Sunday 27 January. And get along to the all-ages Mi Gente (My People) Sound System Party, featuring young local DJs mixing the sounds of summer on Sunday 20 January. Starting in Miami back in 1999, the Ultra electronic music festival keeps expanding around the world. 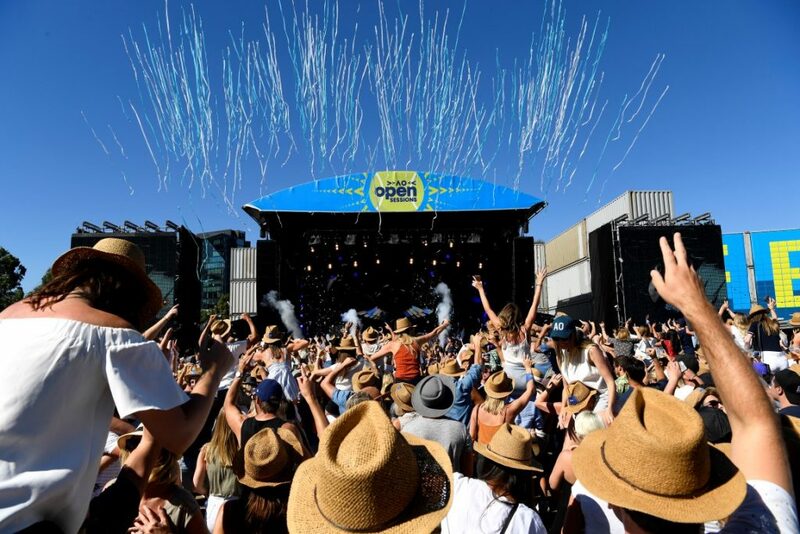 Two years after first bringing the party Down Under, it’s back with a massive, multi-stage beat fest at Flemington Racecourse. Saddle up for Ultra Australia’s all-day EDM extravaganza, including New Yorkers The Chainsmokers and Sweden’s Adam Beyer. Saturday 23 February. Midsummer in Melbourne means the Australian Open, which brings the rock stars of tennis to town – and some actual rockers too. It’s love-all throughout the tournament when the likes of You Am I and the UK’s Craig David hit the AO Live Stage. All you need is an Australian Open ground pass for access to this 15-day festival. Sunday 13 to Sunday 27 January. Move over, Natalie, because your little indie sister has got another tune ready to drop. Laura Imbruglia Single Launch: The Creeps at The Toff is more than one song though. It’s a big night of bands, a DJ and video screening, which is captioned for the hearing impaired. The whole shebang is Auslan interpreted too, and totally free. Thursday 7 February. Treat your mama (or any music loving friends) to a massive night of live music with John Butler Trio and Missy Higgins. They’ve reunited for a block buster tour of the country, stopping in at the Sidney Myer Music Bowl on 7 February. Melburnians love a hidden hot spot like no one else, and being the first to discover something is basically in our blood. Book in for an evening of swinging jazz with A Secret Place and you’ll be treated to a night out in an undiscovered location, where you can bop along to an endless stream of excellent tunes. There’s another program of top musical talent at Zoo Twilights starting 25 January, but hurry because several shows have already sold out! Get onto those tickets now, then arrive early to say goodnight to the animals and claim a prime position on the lawn. Artists include Archie Roach, Aloe Blacc and Marlon Williams. Proceeds help Zoos Victoria save the Eastern Barred Bandicoot from extinction.